Sherman Construction provided Michelin Americas with construction services for a variety of projects. The project consisted of improvements at the Michelin Americas Development & Research Test Cell facility. 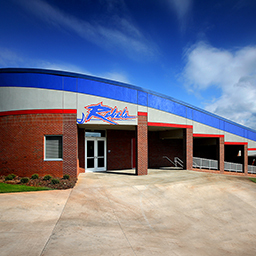 A second project consisted of Building 99 renovations at the Donaldson Center. For more than 50 years, Sherman Construction has been providing construction services to the Financial, General Commercial, Religious, Manufacturing, Healthcare and Multi-Family Housing markets. Whether you desire a Construction Manager, Design-Build, Negotiated Cost-Plus or Bid-Build with Prequalified Contractors, Sherman Construction will deliver.